I hear these stories all too often and it makes me very sad. I usually hear it when I am shooting a wedding and one of the guests stops me to compliment me not only on my ability to have everything run smoothly but also by laughing and joking with people in the process, making the parts of photography that aren’t as glamorous (the photos after the ceremony) less of a chore and more of an event. So when one of my child’s friend’s Mom asked me to see if I could fix some of her wedding photos and explained her experience I asked her to write a little something to help other brides not fall into the same situation. I’ve been thinking about life and how we are so particular about picking out the right pair of jeans or the best juicy peach or watermelon, but yet we don’t apply those same standards to other areas in our life that are just as important. Let me explain what I mean. A year ago I met the man of my life who I now call my husband. This was a second marriage for both of us, so it’s not the first time I’ve planned a wedding. However, this time it was so much easier because we had a destination wedding. We could have packed many decorations to make the reception “sparkle” or “shine”. We could have rented the big “LOVE” sign that the resort provided for a pricey fee, but once you’ve been married before you realize what is most important about your wedding. It’s the memories. It’s not the beautiful decorations, the glitz, or the sparkle. What is important is that you have someone there who is a professional photographer with years of experience that has the ability to capture the special moments of your wedding. Why is this important? Because those photos that your photographer takes is the only thing you will have as a forever reminder of how you felt that day when you married the love of your life. It’s just the best and most amazing way to capture all of those emotions on your special day. 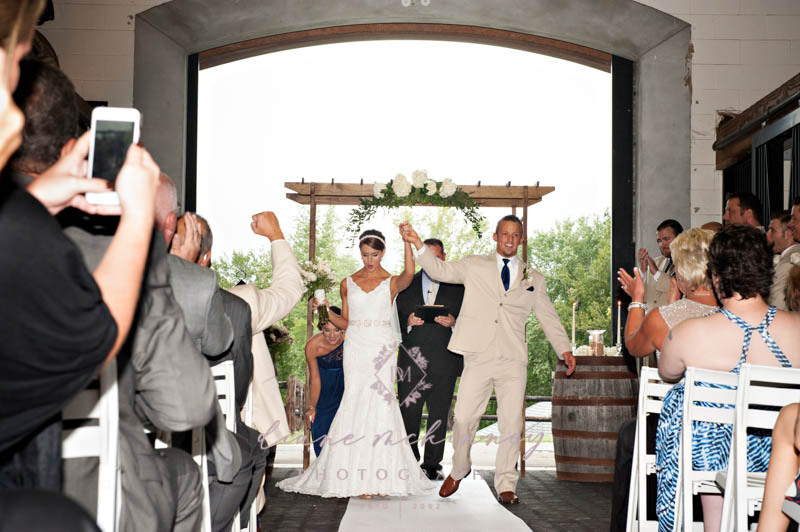 The day you say “I do” and exchange wedding vows and rings will be one of the most important days of your life. I promise you that the last thing you ever want to experience is having the best wedding and reception, having so much happiness that you think your heart will burst, and then weeks later you see your pictures are grainy, blurry, and horrendous! Talk about your heart actually bursting! You can’t have a redo of the wedding. The pictures you’re looking at is what you’ll have forever and what I can promise is that every time you look at these pictures the disappointment you felt the first time you saw them will still be there and there’s nothing you can do. So, when we planned our destination wedding I didn’t care about putting money into decorations. I wanted the focus to be solely on having the best pictures we could get because that is something you just can’t replace or redo. Before our wedding I joined a Facebook group of brides that would talk about their experiences with the photographers at the resort. Based on all of the conversations and referrals I requested one of the best photographers they had. However, unbeknownst to me the photography studio was very good at overbooking photographers and we ended up with a younger photographer instead. Now, don’t get me wrong…he was wonderful as a person and photographer. When we first viewed our pictures on the computer screen my hubby and I both cried because they were so good! I’m not kidding. We cried at the wedding and then cried again just watching the photos scroll across the screen. He was an amazing photographer that captured the best memories of that day. I couldn’t have been more pleased viewing our pictures on the computer screen and I still watch the picture video he created for us. Unfortunately, when we got home I sent some of the images to be printed and that is when my heart was crushed. I opened the package from the printing company and there in my hands were my pictures. In all of their blurry, grainy and “is my vision going bad or do I need glasses” glory! I have never been more devastated than I was at that moment looking at a picture of my 76 year old dad, 72 year old mom, my hubby, and me that was so grainy it looked like a bunch of square pixels. My parents literally flew to another country for me and this is the picture I had of them with me. Two words…CRUSHED and DISAPPOINTED! There is only one thing you can do at a time like this and not everyone will be as lucky as I am to have this option. You phone a friend! An amazing friend like Diane McKinney of Diane McKinney Photography and you tell her what has happened. A good photographer isn’t someone that just has a good eye at creating an amazing picture that tells a story, but she is also an amazing editor that knows how to edit the picture so it makes a phenomenal printed photo. “If you go to a grocery store and you pick up every peach to find the soft one that will be juicy but not so soft that it will be bad in one day or if you’re the person that beats on the watermelon to tell if it’s ripe and juicy or the person that tries on 15 pairs of jeans until you find the perfect pair that makes your derrière look good, then also be the one that is picky about who they choose to shoot the pictures at their wedding“. Look at their work on the computer and printed! 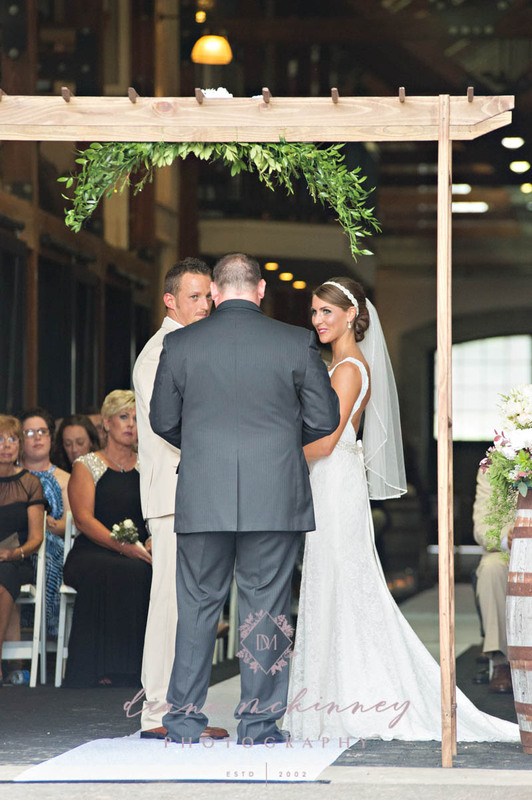 See several weddings from start to finish. Did they get it all? Again in print and on the computer. Look at their years of experience. Get references and even ask if they would mind if you call them. Meet her/him in person to make sure you all click with one another. That’s just as important. But whatever you do, don’t just look at a gallery of a few images on line and fall in love and decide that’s the one. If you don’t do that with the fruit you eat or the pair of jeans you wear, then don’t do it with a photographer. We’re talking about your memories of one of the best day’s of your life! My last piece of advice, don’t scrimp on the photographer. You don’t need all of the decorations, the glitter and the spice and everything nice. Those things don’t create the memories of that day, but your photographer sure will…if you choose the right one! I hope this has been helpful. There is NO substitution for experience. It’s great to get 25 amazingly creative photos at your wedding but probably not at the expense of missing all those other moments that are so important. That is what an experienced photographer provides, 800+ good images with a good mix of amazing photos to compliment each other. And talk to your photographer before you choose your ceremony time. They can advise you on the best time of day to get the best photos. Believe it or not a bright and sunny day with the sun high in the sky is worse than a cloudy day. And if it’s a winter wedding you need a plan for pictures if it is already dark after your ceremony. A good photographer can walk you through all the possible pitfalls. But it’s that consistency and knowing that your images will be in focus, exposed properly, have the equipment to handle low lighting, the experience on how to shoot into a back lit situation are the skills that set an experienced photographer apart from the new trendy photographer, all be it good, may not quite be ready to carry an entire wedding. It’s been my rule that my 2nd shooters usually need a good 2-3 years of shooting 25+ weddings a year to make enough mistakes to be able to problem solve on the fly and still keep the wedding running. So choose your photographer on artistic style. It’s important. Choose your photographer because you like them and will enjoy spending your whole day with them. It’s important. But choose a photographer with real experience. Because it is just as important. Example Back Lit Ceremony Shot: A camera shot in auto mode would make the background perfectly lit while the bride and groom would be in shadow.